Dr. Amber Somerville, OB/GYN, joins the Alliance Community Hospital staff. Please join us in welcoming Dr. Amber Somerville, OB/GYN, to the Alliance Community Hospital staff. The following article appeared in today’s Alliance Review. Alliance Community Hospital recently welcomed a new doctor to the team with the addition of obstetrician/gynecologist Amber Somerville, M.D. 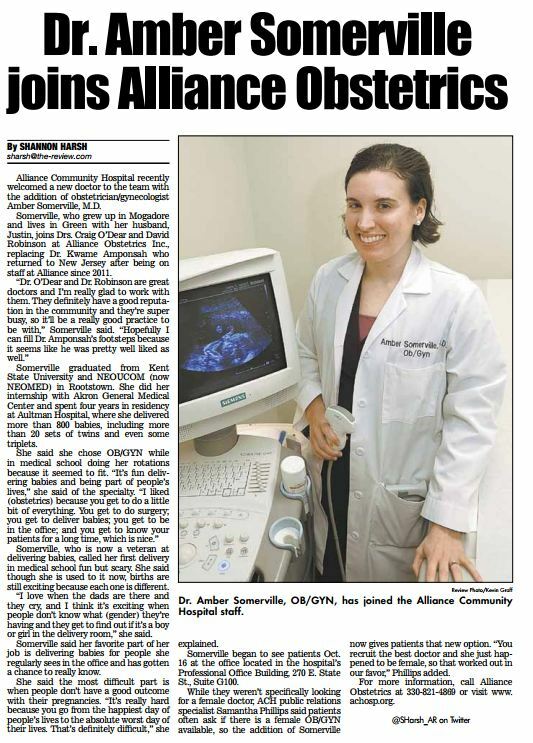 Somerville, who grew up in Mogadore and lives in Green with her husband, Justin, joins Drs. Craig O’Dear and David Robinson at Alliance Obstetrics Inc., replacing Dr. Kwame Amponsah who returned to New Jersey after being on staff at Alliance since 2011. Somerville graduated from Kent State University and NEOUCOM (now NEOMED) in Rootstown. She did her internship with Akron General Medical Center and spent four years in residency at Aultman Hospital, where she delivered more than 800 babies, including more than 20 sets of twins and even some triplets. Somerville, who is now a veteran at delivering babies, called her first delivery in medical school fun but scary. She said though she is used to it now, births are still exciting because each one is different. “I love when the dads are there and they cry, and I think it’s exciting when people don’t know what (gender) they’re having and they get to find out if it’s a boy or girl in the delivery room,” she said. Somerville said her favorite part of her job is delivering babies for people she regularly sees in the office and has gotten a chance to really know. She said the most difficult part is when people don’t have a good outcome with their pregnancies. “It’s really hard because you go from the happiest day of people’s lives to the absolute worst day of their lives. That’s definitely difficult,” she explained. Somerville began to see patients Oct. 16 at the office located in the hospital’s Professional Office Building, 270 E. State St., Suite G100. While they weren’t specifically looking for a female doctor, ACH public relations specialist Samantha Phillips said patients often ask if there is a female OB/GYN available, so the addition of Somerville now gives patients that new option. “You recruit the best doctor and she just happened to be female, so that worked out in our favor,” Phillips added. For more information, call Alliance Obstetrics at 330-821-4869 or visit http://www.achosp.org. 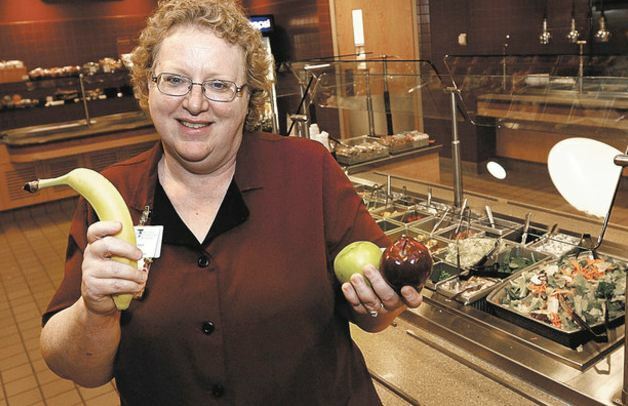 Registered and licensed dietitian, Dawn Wagner, takes age and physical condition into account as she plans meals for patients at Alliance Community Hospital. As seniors continue to age, their nutritional needs change. 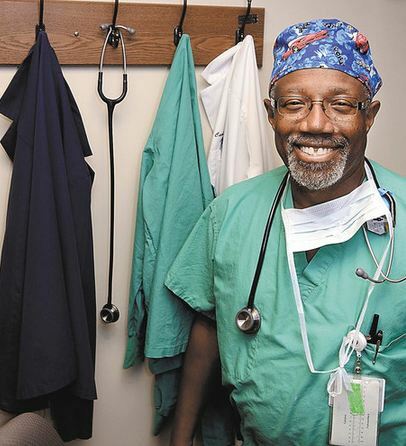 Alliance Community Hospital anesthesiologist Dr. Carl Foster is known at the hospital and in the community for his scores of jokes, which he delivers while administering anesthetics. He is wearing one of the many surgical caps his wife made for him. Meet ACH Obstetrics Director Marianne Sevcik. 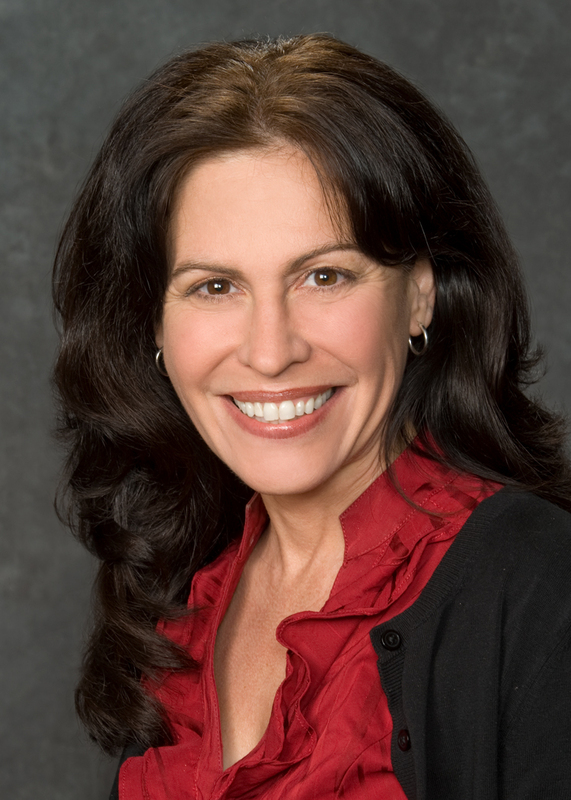 Marianne began her career as an RN at a psychiatric hospital in Knoxville, TN in 1987. 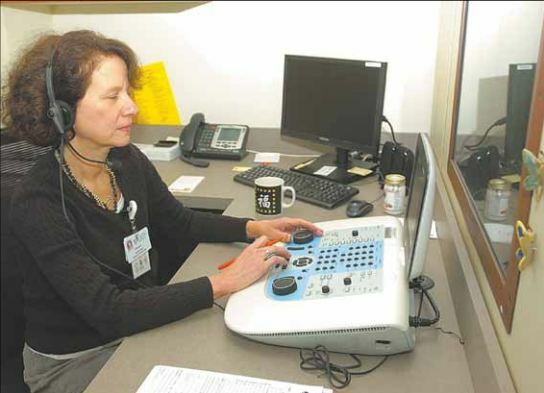 Marianne’s first experience in an OB department came with a move to Rochester Minnesota in 1990. After relocating to Ohio in 2000 she began her career at ACH in the OB department. “I hadn’t always dreamed of becoming an Obstetrics nurse. Sometimes in life you are just in the right place at the right time. This is how I feel about OB, when I started in the department I just discovered a part of who I am. I related to the patients, especially as the mother of four children of my own. I have grown to absolutely love OB; I love the bond that OB nurses get to share with young women and their families at such a special time in their lives. Obstetrics nurses have the wonderful job of making everyday a birthday party, but they also have to be there for families during some of life’s most difficult moments. It’s during these times when compassionate care is most needed. Once you have had the privilege of sharing these intimate moments with the patients it truly changes who you are in a profound way. Our Planetree philosophy at ACH enables us to provide care for the whole patient; our staff is trained to do more than just care for the physical needs of the patient. We are here to treat every patient as family with a deeper level of kindness and compassion. Caring for people is part of who you become.